Import existing content into Recollectr using the Bulk Import feature. First, place all the files you wish you import into a single folder. Then, go the Options screen and click Folder. 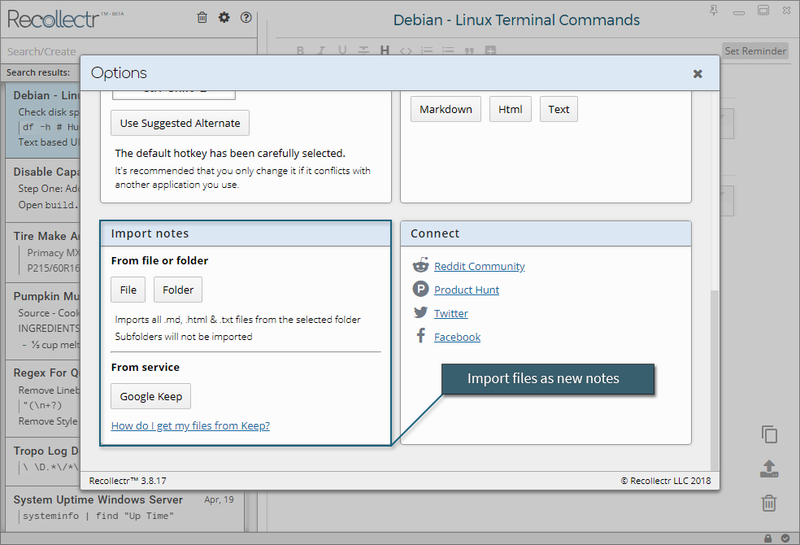 Navigate to the folder you want to import in the dialog that appears and then click Import folder. Note: Recollectr functions best when notes are kept short and specific for easy searching later. It is recommended that imported notes that are very long be broken up into smaller notes where possible. 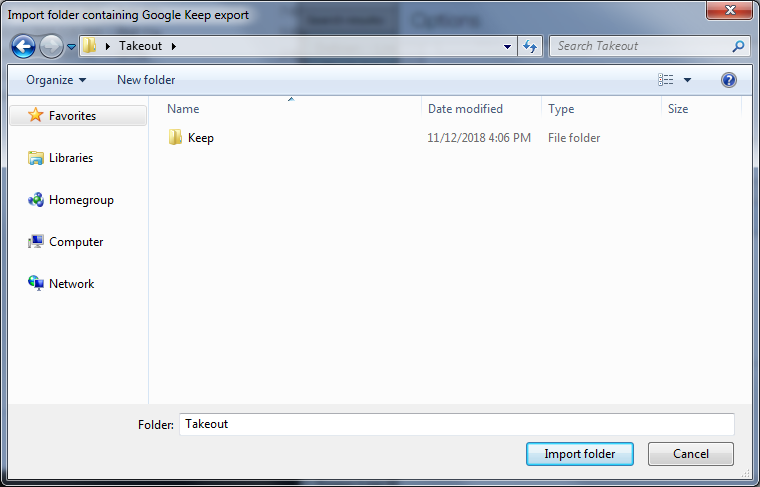 Important: Processing Google Keep exports for use in Recollectr can take a while if you have a lot of data, and there is currently no status indicator or animation that’s displayed while it’s processing. Most imports take under two minutes, but the process can potentially take up to 15 minutes.